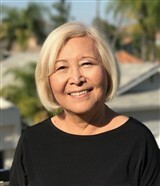 Deeply committed to women’s issues, Dr. Mieko Kotake Smith has led an impressive and prestigious career as an educator in the field of social work. She has always enjoyed both research and working with students, and she is proud to have been able to successfully merge her two interests. Dr. Smith feels it is important to chase dreams and do everything possible to achieve them. With that in mind, she started her journey by earning a Bachelor of Arts from Tsuda College in Tokyo in 1964 and has continued to further her academic knowledge over the years. In 1972, she obtained both a Master of Arts from Kent State University and an educational specialist degree, and in 1980, she obtained a PhD from Case Western Reserve University. She is also a licensed clinical social worker in Ohio. Through years of professional excellence, Dr. Smith has lent her services to roles like research associate at Case Western Reserve University, director of aftercare at Murtis H. Taylor Multi-Services Center, director of research and training at Hill House mental Health Rehabilitation and Research, Inc., independent consultant in Beachwood, Ohio, and consultant for the Summit County Children Services Board in Akron, Ohio. Every position allowed her to grow even more, and she progressed rapidly through the field. She has been most recently affiliated with Cleveland State University and the University of Akron. Some of the highlights of Dr. Smith’s career include authoring books like, “Adolescents with Emotional and Behavioral Disabilities: Transition to Adulthood (Studies in Health and Human Services)” and co-authoring books like, “Mental Health Practice with Children and Youth: A Strengths and Well-Being Model.” She also evaluated the breast and cervical cancer prevention program for Vietnamese, Cambodian and Laotian women through Asian Services In Action, Inc. Her findings were presented at the American Public Health Association conference in 2010. In recognition of her outstanding work in her field, Dr. Smith received the Lifetime Achievement Award from the National Association of Social Workers, Region 2 Ohio in 2013, and the Research Recognition Award from the Ohio Program Evaluators’ Group in 1992. Additionally, she received grants from the United States Department of Health and Human Services, the United States Department of Education, and the Ohio Department of Mental Health. Her achievements were published in numerous editions of Who’s Who in America and one edition of Who’s Who in the World.